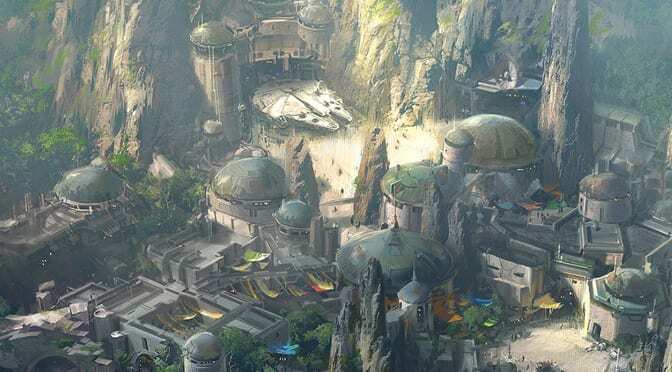 Star Wars: Galaxy’s Edge is fast approaching both Walt Disney World and Disneyland Resort in California. 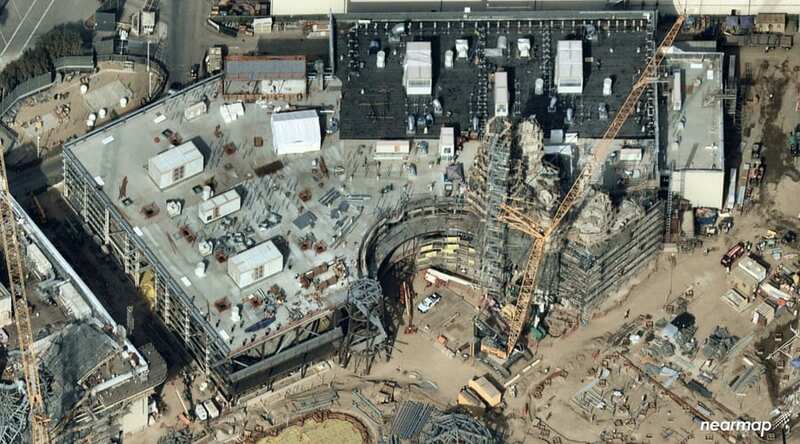 Thanks to these aerial photos taken in November from Nearmap, we are able to see how far along Disneyland is in their construction. 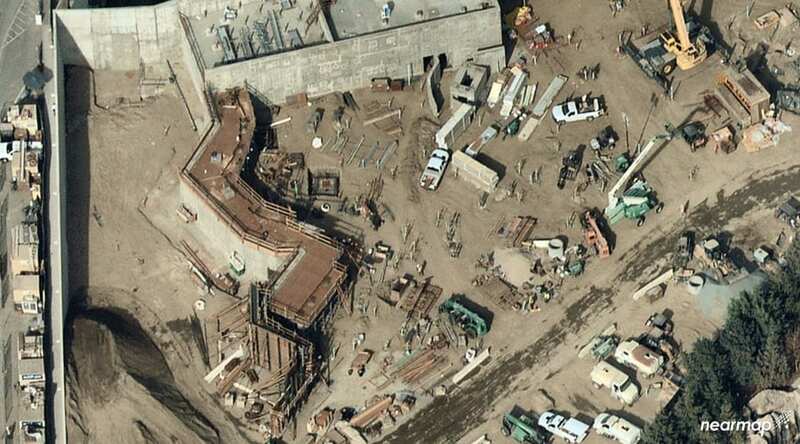 First we can see an overview of the whole construction area. In Disneyland, guests will enter Galaxy’s Edge from Frontierland at the back of the park. The Rivers of America, as well as the Disneyland Railroad, were both modified to create room for this land. 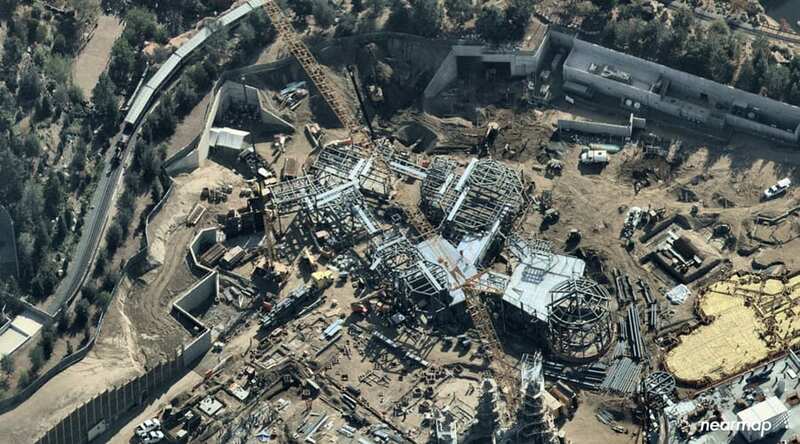 Here we can see the entrance points to Galaxy’s Edge with Frontierland on the left. It even shows how this project required the Disneyland Railroad to turn left for the first time ever. These buildings under construction near the front are presumed to be merchandise shops. 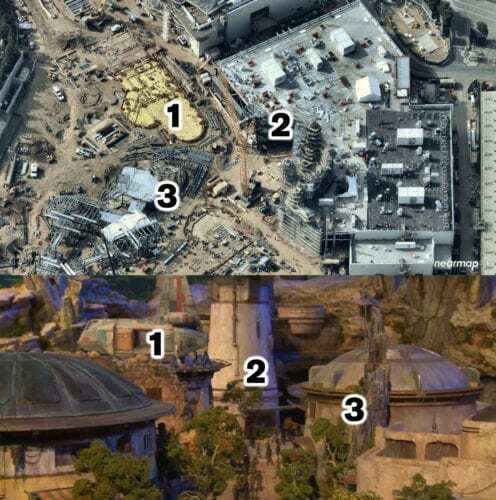 When comparing the rooflines and walkways, it appears this area under construction will match this part of the Galaxy’s Edge model. You can see, 1 is the skinny roofline with dome next to it. 2 is the dome and platform under construction. While 3 is the second archway next to the domed buildings. If this lines up correctly, you can see from the video and photos of the model that there is a lot more structures to be started. 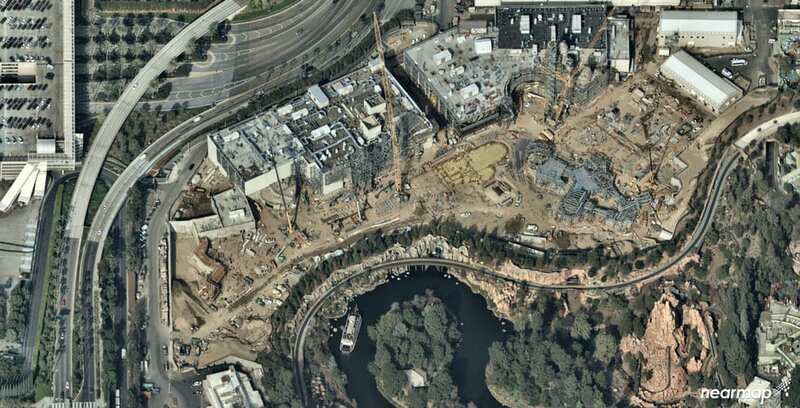 Taking a closer look at the back of the land, we can see the construction on the Millennium Falcon attraction. Much like the previous photo, it appears Disney is focusing on certain buildings first before moving onto nearby parts of the city. Once again in comparison to the model we can see nearby buildings preparing for construction. 1 lines up with the model to be the parking area for the blue and red starship. 2 points out the tower and area the Millennium Falcon will be parked near the entrance of the attraction. Whereas 3 is the nearby merchandise shops and possible quick service location. 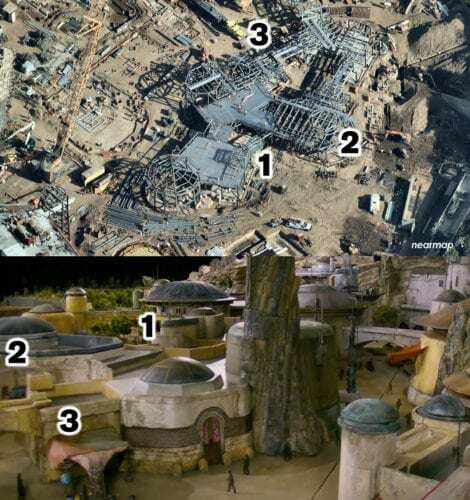 The largest domed building in the foreground of the model photo will be the main restaurant of Galaxy’s Edge. 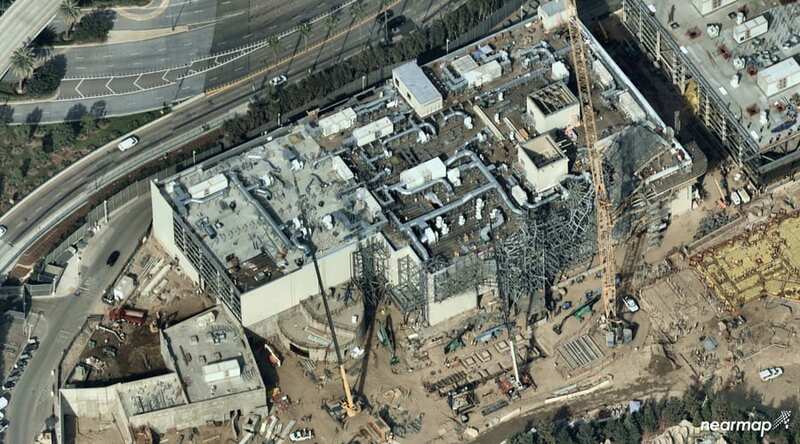 Then moving to the left side of the construction area we can see the work on the First Order attraction. Looking back at Hollywood Studios construction, we know there will be AT-AT Walkers inside of this attraction. Lastly we look towards the very far left end of the construction. While there is quite limited construction in this photo, the smaller area in the corner does coincide with the forest based side of the model. If this lines up, you can expect to see an X-Wing as well as some other Resistance star fighters in the area.